NASA has deployed three smartphone satellites (PhoneSats) into orbit. PhoneSat is a nanosatellite, categorizing the mass as between one and ten kilograms. Additionally, PhoneSat is a 1U CubeSat, with a volume of around one liter. The PhoneSat Project strives to decrease the cost of satellites while not sacrificing performance. In an effort to achieve this goal, the project is based around Commercial Off-The-Shelf electronics to provide functionality for as many parts as possible while still creating a reliable satellite. The satellites will send information about their health via radio back to Earth in an effort to demonstrate they can work as satellites in space. The spacecraft also will attempt to take pictures of Earth using their cameras. PhoneSat satellites are emitting packets on the amateur radio spectrum to report different types of message. 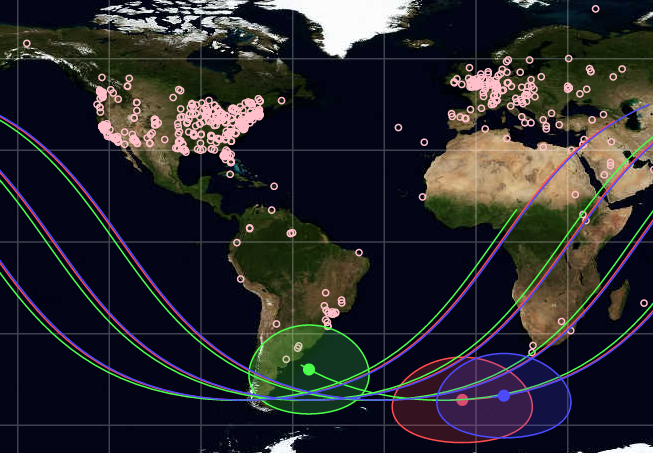 Amateur radio operators around the world can participate in the mission by monitoring transmissions and retrieving image data from the three satellites. Large images will be transmitted in small chunks and will be reconstructed through a distributed ground station network. More information can found on the on the PhoneSat website.